Flash-based storage pioneer Fusion-io (s fio) says it has developed a method for extending a system’s memory from DRAM into Fusion-io’s NAND-based storage tier, enabling the possibility of bigger, cheaper in-memory applications than are currently possible. This type of capability could become increasingly important as companies expect ever-faster performance of their data-analysis systems but don’t want to pay to store massive data sets in pricey DRAM. The Extended Memory subsystem dynamically moves frequently accessed data pages into memory on-demand while transparently migrating rarely accessed data pages from DRAM into ioMemory. This allows developers to simplify application design by assuming that entire datasets are in-memory, without the costs associated with DRAM purchase and operation. 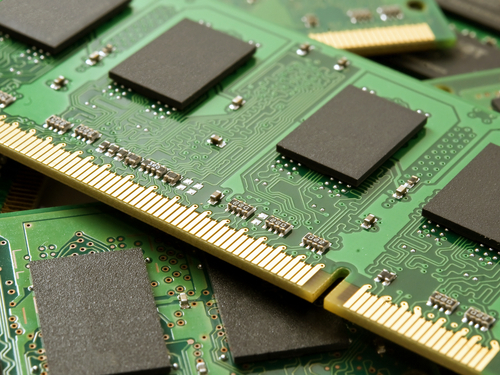 Application developers are able to further tune performance through software development kit tools that lock selected pages into DRAM, giving access to NAND flash as memory, instead of treating it as an extension of disk storage. Fusion-io was able to pull this off in part because of an industry trend toward higher-capacity, less-expensive flash storage and in part because Fusion-io doesn’t claim to offer solid-state drives. When I covered the release of the company’s ioDrive2 and ioDrive Duo2 (which plug into a server’s PCI slot and operate as repositories for data needing high performance) in October, the products represented a more than 2x capacity gain over the previous generation and continued to boost IOPS performance, despite the smaller and cheaper NAND technologies on which they’re built. Fusion-io Founder and CEO David Flynn attributed his company’s ability to continually raise performance on new, consumer-driven NAND designs with its decision to to provide memory controller software rather than trying to act like a hard-disk drive (as other solid-state drive providers try to do) and use a microcontroller. That same decision, the company says, also helped make Extended Memory possible because it didn’t have to try and make disk-storage protocols function at the memory tier. In-memory databases and analytic systems (such as SAP’s high-performance HANA appliance) are nothing new, but they’re limited in size to the system’s memory footprint and can be rather expensive. All-flash storage arrays are also becoming much more popular and getting less expensive, but they still exist as a separate storage tier and are often aimed at legacy enterprise applications. If what Fusion-io and Princeton have created works as promised, it could create a middle ground approach that resonates with customers — such as Fusion-io mega-user Facebook (s fb) — that need a workable combination of massive scalability and high performance. Image courtesy of Shutterstock user Mark Schwettmann.